Hi, I’m Tracey. It’s so great to meet you. I’m an essential oils junkie. I didn’t used to be, but then I fell in love with Young Living. 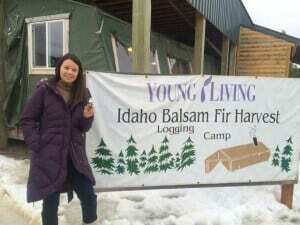 That’s me at the Young Living Highland Flats farm in Idaho (where balsam fir is grown) during Winter Harvest. I’ve also been to the St. Maries farm (where Melissa and Lavender is grown) in Idaho. What other essential oil company will invite its members to openly visit its farms? Pretty amazing, huh? These therapeutic-grade essential oils have completely changed my life. I make my own DIY cleaning products and homemade skin care to ditch chemical toxins in store-bought products (check out all my DIY essential oils recipes). And, I use essential oils to keep my family healthy. I have both local and online (learn from the comfort of your own home) classes you can join to learn more about essential oils. 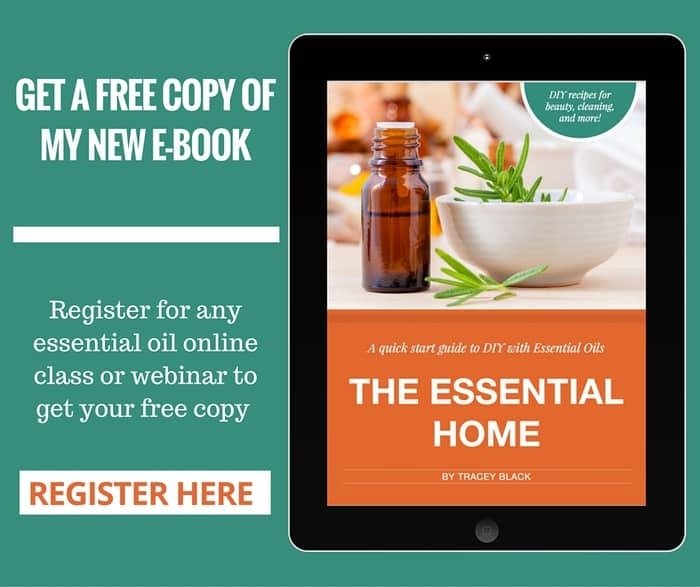 Sign up for an online webinar and get a free copy of my e-book The Essential Home: Quick Start Guide to DIY with Essential Oils. Learn how you can save 50% off a Premium Starter Kit here. You’ll also get a free wholesale membership that gives you 24% off retail prices on future orders. Plus, I will send you a bonus gift worth $25 – which includes an essential oils reference guide book, silver pendant diffuser necklace and much more. Get the details here. Got a question or comment? I’d love to hear from you. Please email me at tracey@dontmesswithmama.com.